Native Hope prides itself in working to empower Native Americans in a multitude of ways, and this spring, team members have not only been touring to film stories across the United States but also hitting the ground to inspire youth. Our staff members each possess stories and passions that drive them to motivate Native American youth to move beyond the barriers set before them and reach for a brighter tomorrow. 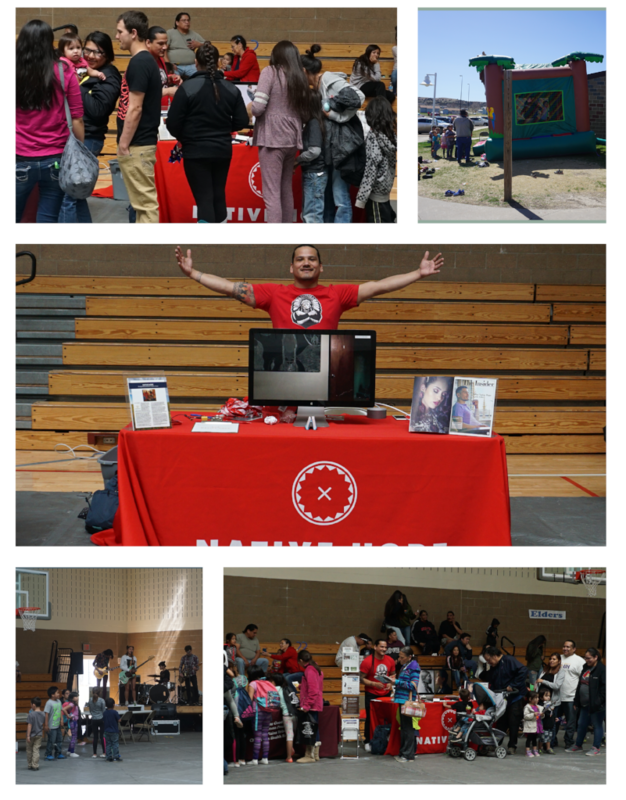 In April of this year, we were able to participate in a series of local community events focused on honoring and empowering our Native culture and Native children. 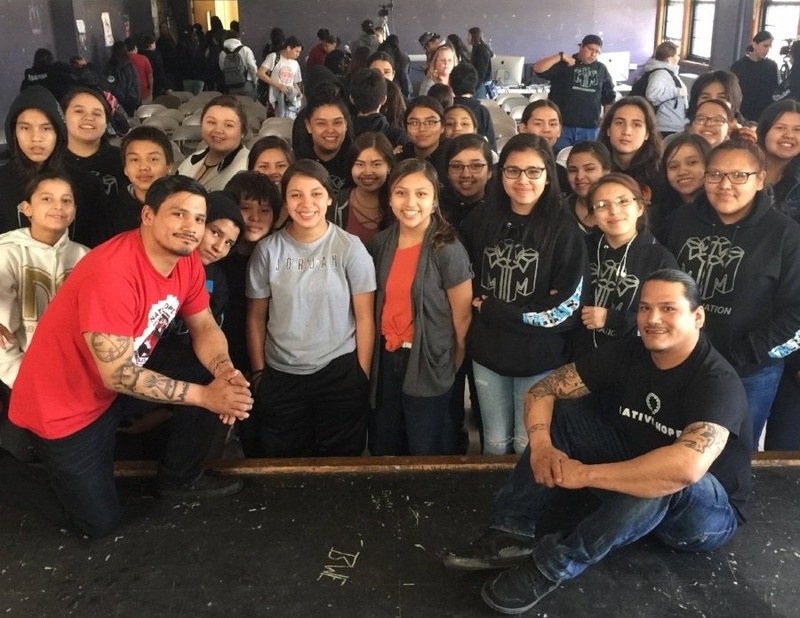 Kansas Middletent and Kyal Middletent, Native Hope Ambassadors, traveled south to the Yankton Sioux Reservation [Ihanktonwan Dakota Oyate] to speak to students at Marty Indian School during the “Empowering the Spirit of Our Future Leaders” Week. The week-long event featured a long list of successful Native Americans doing incredible work across Indian Country including Robert Flying Hawk, Yankton Sioux Tribal Chairman; Jackie Bird, Hoop Dance and Performer;Kevin Locke, Hoop Dancer/Flute Player; Fawn Wood Wicagdata, motivational speaker; Joseph Marshall III, author, and several others. The idea behind the event was to inspire the youth through inviting successful Native Americans who are paving a way for others to follow. Kansas and Kyal held an interactive workshop encouraging students to find their own passions in spite of their struggles. 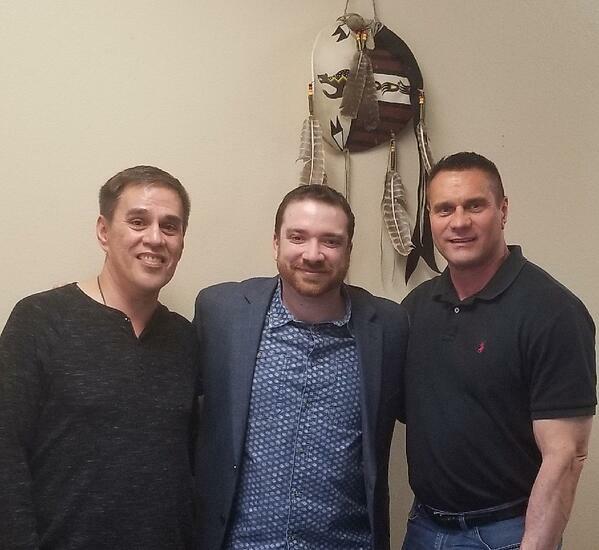 Meanwhile, Ambassador Brian Perry traveled north to the Crow Creek Indian Reservation [Hunkpati Oyate] and attended a Substance Abuse Prevention Skills Training (SAPST) in order to develop skills that will empower him to better address the struggles of those with whom he works. Brian’s life mission aligns perfectly with Native Hope’s mission to dismantle barriers for his people. He knows and understands that in order to prevent suicide completions and bring healing to those contemplating self-harm due to the use of substance abuse, more community members must be armed with skills. 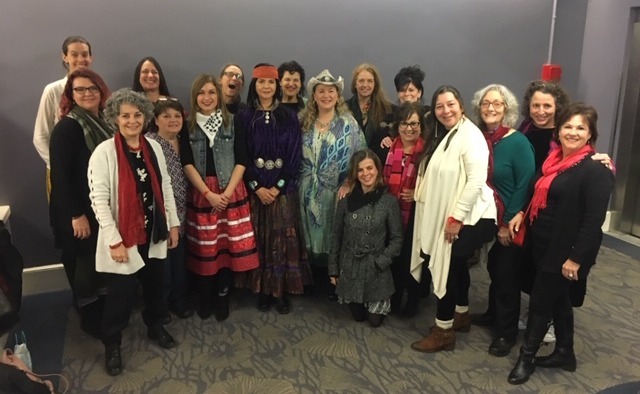 The SAPST curriculum for American Indian communities is designed to build the capacity of entry-level prevention professionals and those working in related fields. Native Hope celebrates Brian’s interest in self-improvement in order to further advance our mission of healing a people. 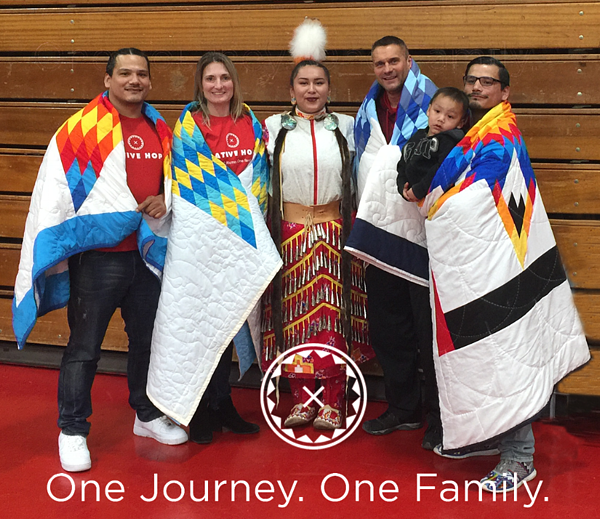 The Chamberlain High School Native American Club celebrated their 11th annual Powwow [Wacipi] and Native Hope was proud to be a part of their circle. Powwows are exciting for all the beauty, art and expression they bring, but for Native Americans, it is a way to ensure that the sacrifice of ancestors’ does not go unhonored. The event is significant because it celebrates the many tribal cultures, traditions and struggles. It allows the people to dance, sing and laugh, while rekindling and creating new relationships. Attendees had the opportunity to watch dancing, enjoy an Indian taco, support Native artists and craftspeople, and to fully experience the beauty of the Native culture. Children truly are a sacred gift from the Creator. It is therefore our responsibility as adults to keep them safe from harm at all times, for they are vulnerable and highly susceptible and sensitive to the things we do in our everyday lives, from ensuring that we make it to work on time to preparing meals to spending time on our smartphones, they are there with us. So we need to be ever mindful of how what we do impacts and influences the children we spend the bulk of our time with, whether we are parents, educators, law enforcement officers or child welfare workers. What we do and what we say matter in the context of our intertwined family and community lives. The BIA Social Services, State of South Dakota Department of Services Division of Child Protection Services, and Native Hope partnered to provide a hands-on demonstration for community members on the importance of nurturing children and providing stable environments for children to grow into positive, healthy adults. 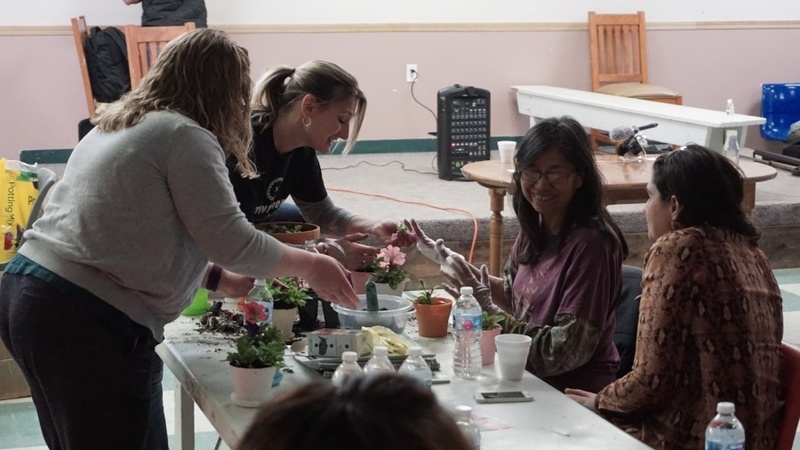 The event was entitled “Help Me Grow.” Flowers, potting soil, water and pots were used metaphorically to demonstrate the importance of providing a foundation, sunshine, water and soil as a way to nurture children. The pot represents the parental home, the soil represented the environment the children were raised in and the tools to raise children included the sunshine and water. Overall, the hands-on event empowered the parents and team members to have a valuable discussion around the children and how to be the best parent possible. 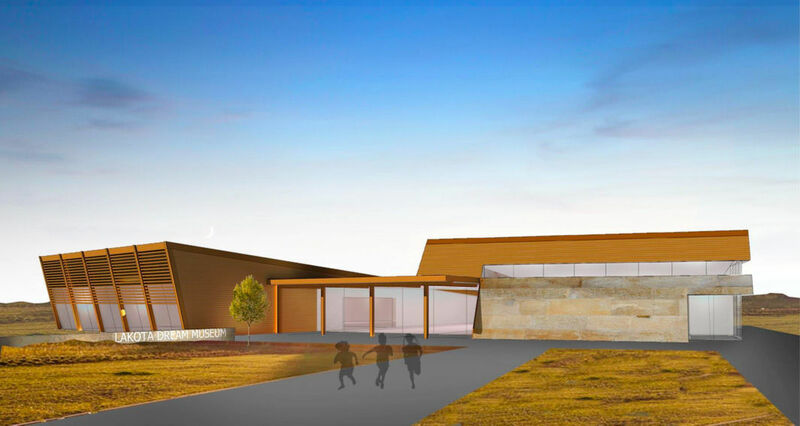 At the beginning of December, 2017, Native Hope was approached by a concerned community member from the Crow Creek Indian Reservation [Hunkpati Oyate]. His concern was for the families and children of his community and how drugs, particularly meth, continues to separate, destroy and displace them from one another because the lack of livable homes. After a few weeks of brainstorming, Native Hope launched our “Homes for the Holidays” campaign with the partnership of the Crow Creek Housing Authority and the Department of Social Services. On April 26th, 2018, Ambassadors Brian and Kansas along with Housing Director Joseph Shields announced to community members the success of the campaign, the plan of action, and the opportunity to be involved in the restoration of their community homes. The men spoke of the importance of empowerment through collective partnership as well as the importance of the project and why the homes must maintained for the families. It was a very productive community event and received well by community members. Community members stood to their feet with applause and hope. Native Hope Team Members, Kyal and Kansas Middletent joined in the festivities during the 11th Annual Family Unity Day held on the Kul Wicasa Oyate Reservation in Lower Brule, SD. The Community event started with a Grand Entry that was led by our Akicita (Warriors) and followed by Powwow Royalties and our Elders. There were 20+ booths in attendance from various Tribal and Non-Tribal Organizations all sharing their common goals and hosting activities for community members. Other activities included a car show, entertainment from Scatter Your Own, an honoring circle for the youth and elders, and a community meal. There were many door prizes given away in honor of the gratitude for all the members of the tribe. Many families enjoyed the positive and constructive activities. Native Hope is proud to work alongside so many incredible communities and partners in South Dakota. 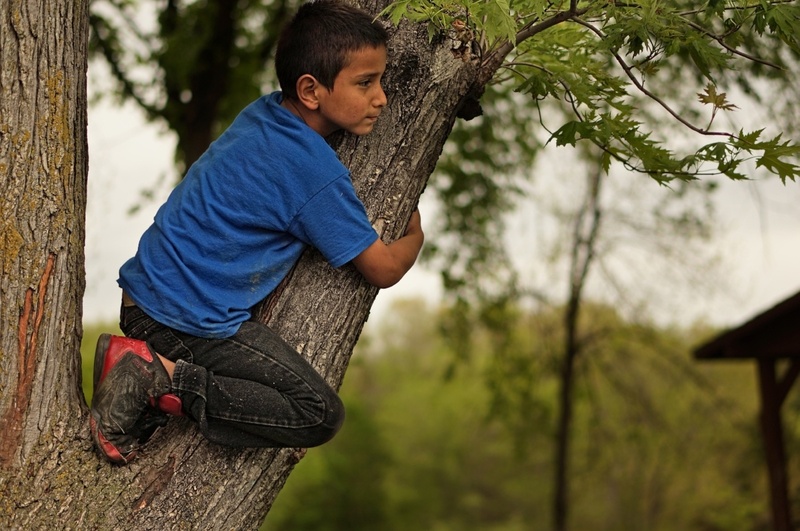 Together, we can create a better future for the next generation of Native American children. 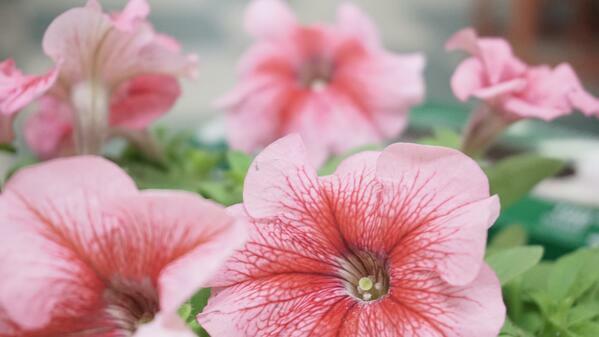 Subscribe to our blog to hear more stories of impact and inspiration.